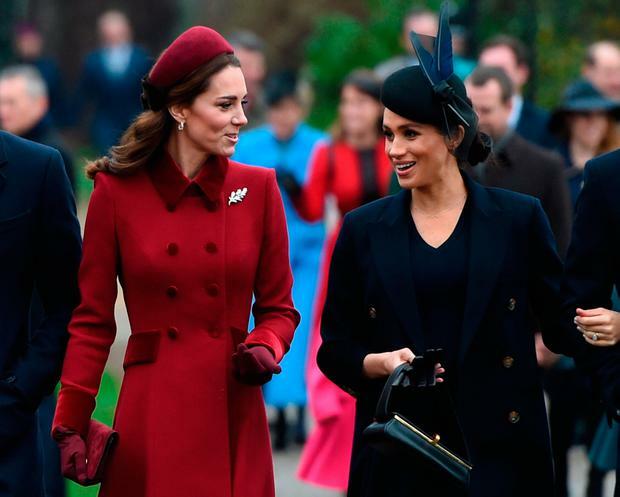 Kate Middleton and Meghan Markle put rumours of a rift to bed as they walked and chatted together ahead of the Christmas Day church service at Sandringham. Reports that the two women were on bad terms resurfaced in recent weeks after it was reported that Kate had been reduced to tears during the fitting for her daughter Charlotte's dress for Meghan and Harry's May wedding. Last month it was also reported that Meghan and Harry are moving out of their Kensington Palace apartment due to tensions between Harry and Prince William and that they will be splitting their courts after Meghan gives birth rather than operating under the same Kensington Palace umbrella. 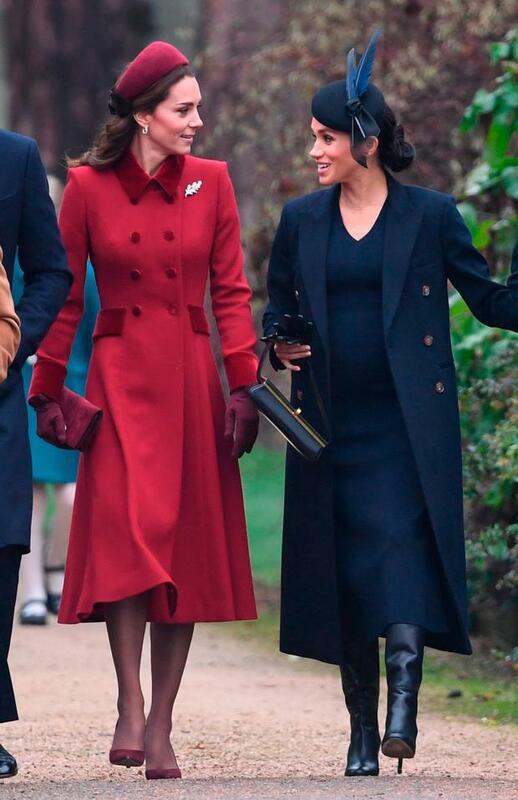 However, there were no signs of tension between the sisters-in-law this morning as they chatted and smiled together with other members of the royal family ahead of the service at the church of St Mary Magdalene on Sandringham estate. The family traditionally spends part of the festive period with the Queen at Sandringham and hundreds of well-wishers, some in Santa hats, turned out to see them make the short walk to the church. 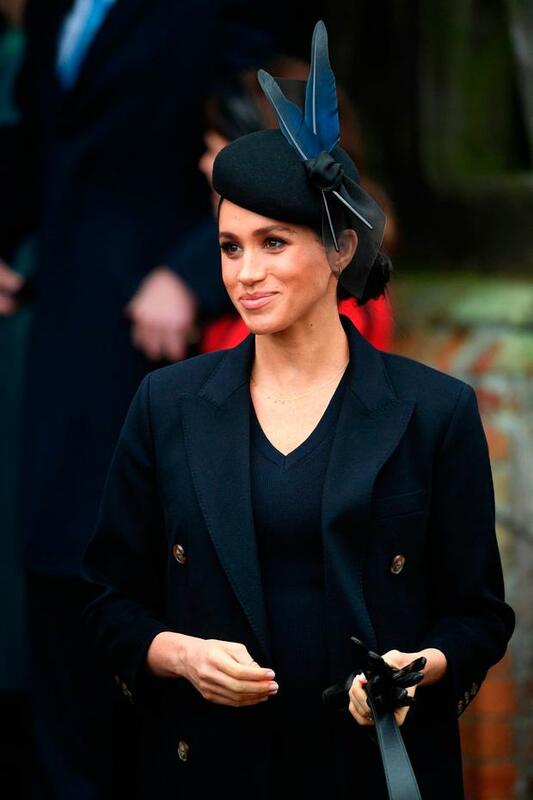 Meghan, who was dressed head-to-toe in navy, also walked arm in arm with her husband. 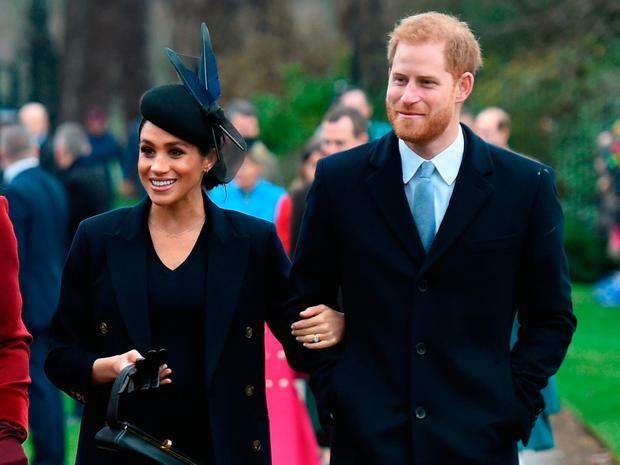 The Duke and Duchess of Cambridge and Duke and Duchess of Sussex led the way with the Prince of Wales. However, Prince Philip and Camilla did not join the rest of the royals. Behind the lead group Peter Phillips walked holding the hands of his daughters Savannah and Isla, and they were followed by Princess Beatrice and Peter's wife Autumn Phillips. A few metres behind were Princess Eugenie and her husband Jack Brooksbank, who smiled at the crowds as they walked towards the church. Towards the back of the group were the Earl and Countess of Wessex with their children, Lady Louise Windsor and Viscount Severn, the Princess Royal and Vice Admiral Sir Tim Laurence and Zara and Mike Tindall.